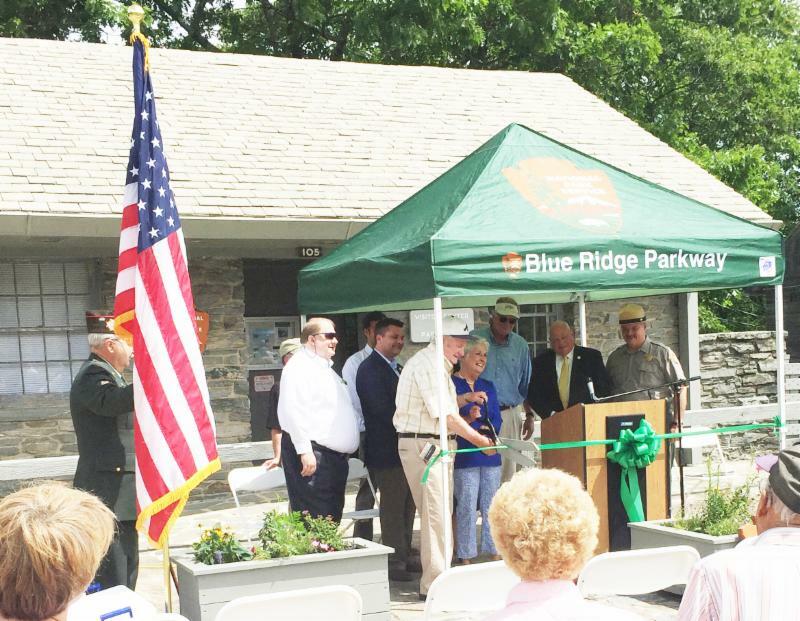 A special event to commemorate the opening of the Doughton Park Visitor Center and Park Store in the historic service station located at Milepost 241.1 on the Blue Ridge Parkway was held on June 23, 2017. Community leaders and partners joined the park for the celebration and ribbon cutting. The park store is managed by Eastern National, and this is the first time EN has operated at this location on the parkway. “When the park partners and local community worked together on the renovation of this site, the superintendent knew that Eastern National could respond well on short notice to breathe life back into this lovely place,” said Karen Searle, EN Blue Ridge regional manager. This is the first phase in restoring services at this location, which had been closed since 2010. Passport To Your National Parks® books were given out as gifts to community members and elected officials who participated in the event. The opening was a collaborative effort between the community, the Blue Ridge Parkway Foundation, the National Park Service, Friends of the Blue Ridge Parkway, and Eastern National. Phase two will be a renovation of the site’s historic Bluffs Coffee Shop, which originally opened in 1949. Eastern National is pleased to announce that Scott Grabus has been appointed as director of information technology. As part of EN’s Senior Leadership Team, this position is responsible for all things related to information technology. Scott will drive the design, integration, and upgrade of IT infrastructure through improvements and enhancements, while maintaining continuous system performance and delivery of IT services. 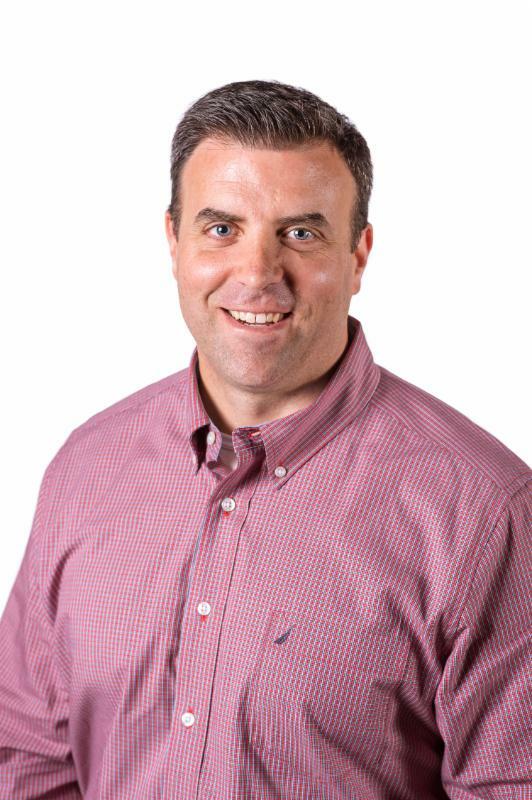 Scott replaces Hank Schmoyer, who has led the IT team at EN for the last 12 years. Hank will now serve as IT advisor until his retirement in 2018. Scott has over 19 years of information technology experience. He most recently worked for Arcadia University, where he led a team that supported all of the university’s enterprise systems, custom applications, databases, reports, and data integrations. He started his career as a software developer and database administrator and has been in IT leadership for almost 10 years. Scott holds a B.A. degree in computer science from Gettysburg College and an M.B.A. from Arcadia University. In his personal time, he loves to be outdoors, including playing softball in a local league and coaching his three young children. 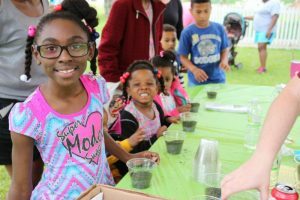 With support from an Eastern National Competitive Grant of $10,000, Cane River Creole National Historical Park held the first-ever Cane River Find Your Park Festival on April 22, 2017. Over 350 participants enjoyed this inaugural celebration. Visit here for more information on this and other examples of our funds at work. Eastern National is pleased to announce that Amber Houske has recently been selected as systems support trainer. This newly created position aids field operations through training and providing support for all internal EN in-store computer systems. In this position, Amber provides relief to regional workloads, while delivering consistent training and support to field users. 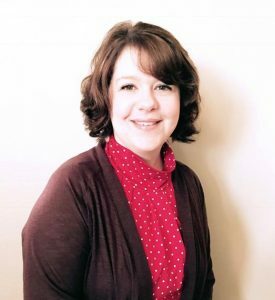 Amber has served at Eastern National for the last two years in locations throughout EN’s Southeast Region, primarily as site manager at Fort Donelson NB. With a lifelong passion for teaching and learning, she previously taught fifth grade and, for the past 10 years, has volunteered in her community developing training materials and teaching specialty classes. She holds a Master of Education degree from Liberty University. Eastern National recently partnered with the National Park Service and the Tribeca Film Institute to present the America I Am Youth Film Competition grand prize to an aspiring high school filmmaker. This second annual competition was hosted at Statue of Liberty National Monument/Ellis Island. The competition is designed to encourage young filmmakers to consider the American experience in their five-minute films, with a special emphasis on understanding America’s shared history and culture. 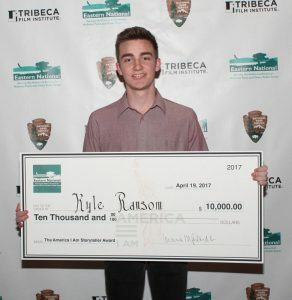 Kyle Ransom, of Provo, Utah, was awarded the grand prize in recognition of his documentary, New Frontier. On April 19, 2017, Eastern National Metro New York Regional Manager Corinna Richards presented the $10,000 grand prize to Kyle in a ceremony at Ellis Island’s Great Hall. This is the second year in a row that Eastern National has provided support for this event. Visit here to view the winning films.